London is full of wonderful attractions, and we’ve been to quite a few of them! 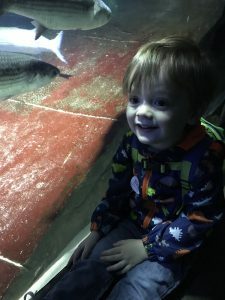 One that we hadn’t been to was SEA LIFE London. So we were thrilled to get the chance to review it for The Family Beehive! It was summer holidays when we went, so we booked in a nice early slot at 10am to avoid the crowds. When you first walk in, there’s a transparent walkway, which Freddie was mesmerised by! 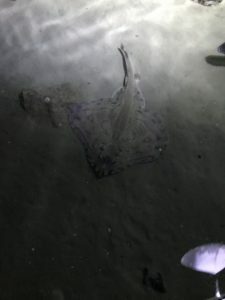 A whole world of sea creatures under his very feet! Next you get the chance to pose for a photo in front of a green screen, before carrying on the exhibition. 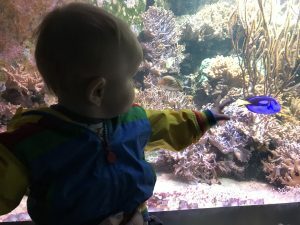 The whole place is very accessible for buggies, which is important for me as I have a 1 year old and a 3 year old too; so I need to be able to get around easily. There was lift access, which was great. 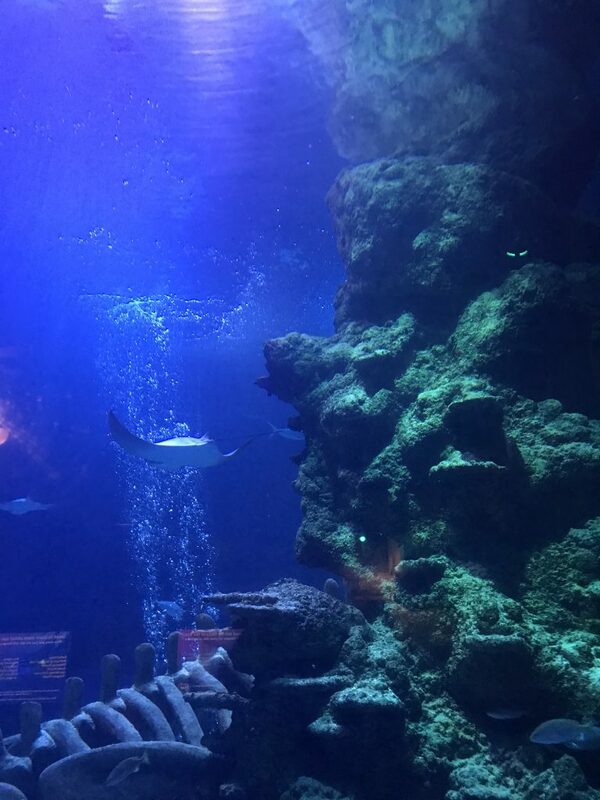 There is so much to see at SEA LIFE London – sharks, rays, jellyfish, clownfish, seahorses.. and so much more! 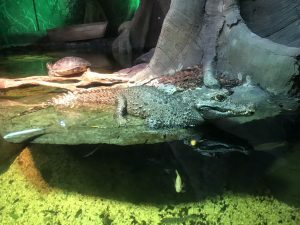 There’s even a rainforest section where you can see a crocodile! 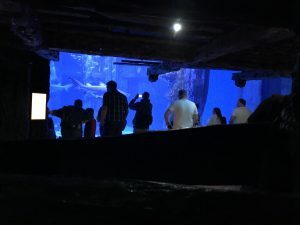 The exhibitions are so well designed, and spacious too – I never felt like we had to wait long for a space at the front of an exhibition to get up close. 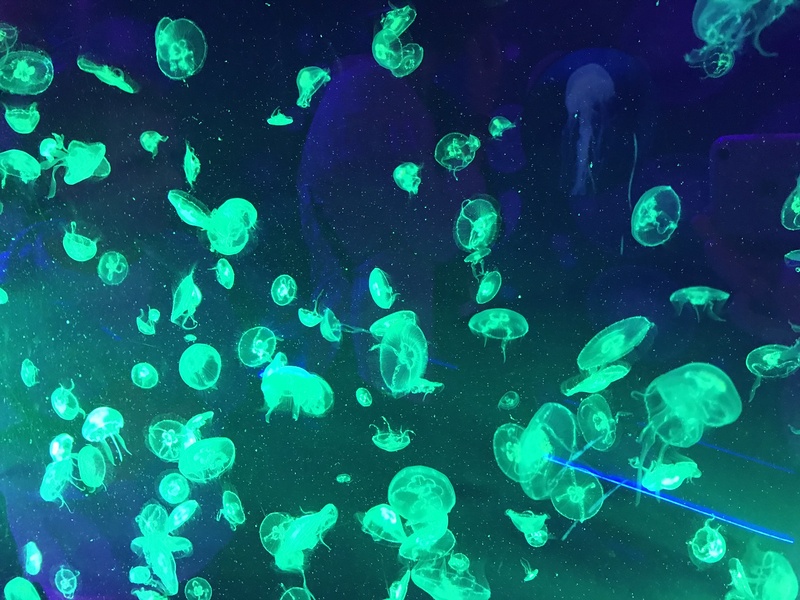 Walking through the ocean tunnel is amazing – seeing all of these wonderful creatures swimming above your head really is something! A firm favourite with Freddie were the penguins! 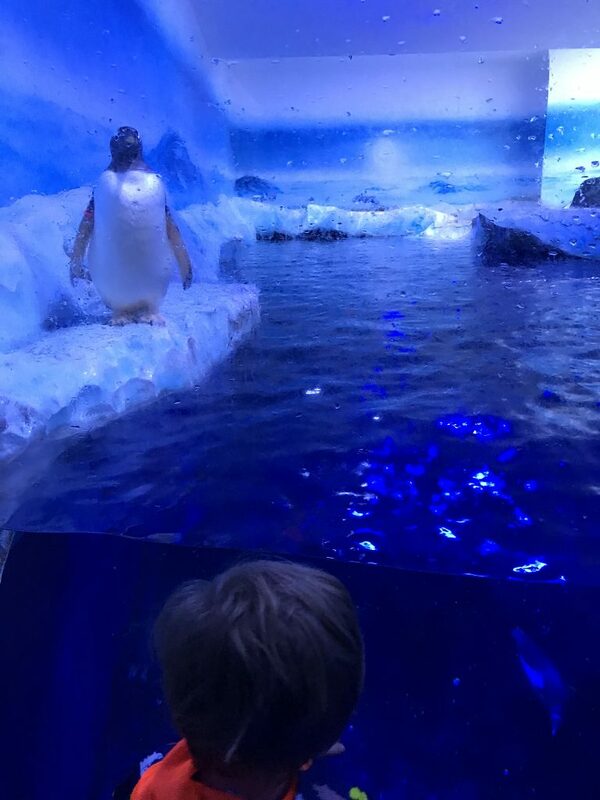 He’d never seen penguins in real life before, so this was a real treat for him! I didn’t expect to see them there! They seemed very happy to be photographed, and it almost seemed like they were posing! Time flew when we were in there, and the whole experience took us 2 hours start to finish. You can book in for talks, and VIP experiences too, but with my ones being so little, I didn’t see that it was needed this time around. It’s definitely something that I would look to in the future, though! 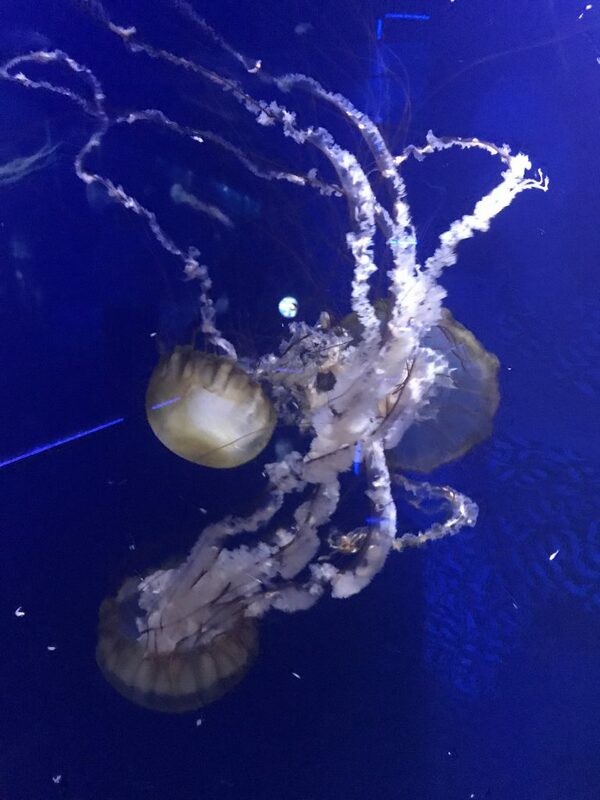 My favourite section was the jellyfish! I had no idea there were so many different types, and they were all displayed in such a cosmic way! Truly beautiful! As with most experiences like this, you exit through the gift shop! Luckily, Freddie still isn’t really at the stage where he wants a present wherever he goes. Although, if there had been a bus/car/train with SEA LIFE written on it, he would have been all over it! As we were walking around, I did expect it to be better sign posted. Just before the rainforest section, there’s a lift, so we assumed that was the end and were about the exit. It was only when we saw some people turning a corner, that we decided to investigate. Good thing we did, or we would have missed half the exhibition! We had a lovely walk along the Southbank afterwards and had some lunch where Freddie was full of beans about what he had seen. We’ll be back! 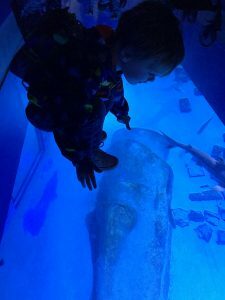 Have you been to a SEA LIFE centre? What did you think? Leave a comment below!